Time is money. Especially when it comes to running a business. While job creation is great, you still have to keep your businesses bottom line in mind. Which means you have to optimise your workflow as much as possible and make your admin processing as straightforward and quick as possible. Software development makes this possible. That is if you use a reliable company of course. 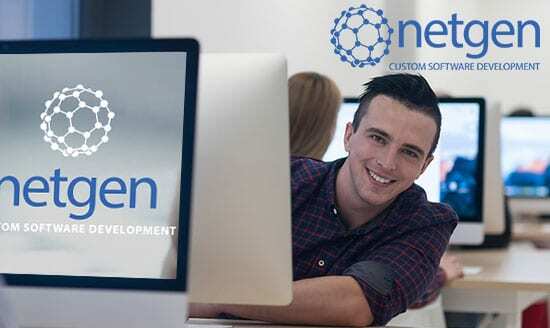 By using a software development company like Netgen, you can find a tailored solution to suit your business needs. Investing in customized software can be expensive initially but prove to be beneficial in the long haul. You won’t have to look for additional software to complete tasks anytime soon. With customized software development comes customer service. If ever you run into an error that needs sorting out or need some changes done, you can easily do so with the help of your developer. Popular software gets hacked more often since hackers know the vulnerabilities of it. Customized software is only used within your company which minimizes the chances of intrusion. Custom software by a professional software development company can definitely be the right choice for your business. It offers many advantages over off-the-shelf software. Licencing existing software increase the risk of it not meeting your needs either now or in the near future. This risk is averted when you opt for customised software development. Overall, custom software development presents an excellent foundation to build upon for the continued success of your company. If you are in the market for customised software and you’re looking for a trustworthy software development company in Cape Town or Johannesburg, look no further. Netgen has many years experience with creating customised solutions for their clients. Get in touch today for a free quote. Previous PostIs it really that important to have a mobile app added to the marketing strategy of your small business?